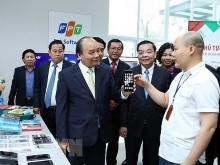 (VEN) - The Vietnam Environment Administration (VEA) under the Ministry of Natural Resources and Environment, in association with the Center for Environment and Community Research (CECR), the US Embassy in Vietnam, and the Clean Water Alliance, recently organized a ceremony to mark the Earth Day 2015. 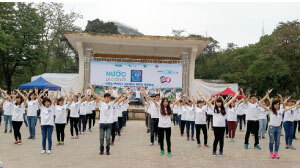 Under the theme “Water is at the core of sustainable development”, the ceremony attracted the participation of more than 200 volunteers from some organizations, unions and students in Hanoi. 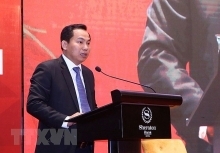 VEA Deputy Director Hoang Duong Tung said that environmental pollution and water pollution in particular not only caused economic losses but also increased the burden of disease and reduced the quality of life. Therefore, protecting the environment and water resources is the responsibility of entire society. At the ceremony, the organizing board presented certificates of merit to organizations which had significantly contributed to protecting the environment as well as water resources in Hanoi. The United Nations have recognized April 22 as the Earth Day to encourage all countries in the world to protect the environment.